In this course you will learn the basic selling skills needed to help customers on the salesfloor! The next step in your training. We have thrown a lot of information your way over the last few days. Most of it has been operational items about working here. Today we start building the skills that will make you successful. In everything we do we strive to give our customers the very best customer service in the industry. Building good relationships and engaging our customers will help us build a devoted customer base and help the company grow. In this training we will cover the basic steps used in a selling situation. These steps will help you gain confidence in interacting with customers and selling our outstanding products. So pay attention, take notes, and feel free to ask your trainer questions after you finish this training. Remember, customer service is our #1 priority! What is our #1 priority? 1.1 Given a Common Workplace Scenario, Employees Will be Able to Ask Two Open Ended Questions, Where the Customer's Response Cannot be "Yes" or "No". The first and at times most critical step in the selling process is approaching the customer. When greeting customers, there are several ways to go about it, and some are definitely better than others. We want to engage the customer, so they will interact with us. To do this, we need to do more than just say hello. We want our greet to be followed by a question a customer can't answer "yes" or "no" to. Here's a few examples of good open ended questions a customer can't answer "yes" or "no" to. "Hello, what can I help you find today?" "Welcome to the store, what are you looking for today?" "Hi there, what department can I take you to?" "Good morning, what did you come in to the store to find today"
"Hi, can I help you today?" "Hello, do you need help finding anything? "Hi, are you doing okay?" "Good afternoon, can I help you find anything?" Although the previous questions seem polite and just fine at first glance, you can see that they lead to "yes" or "no" answers. When a customer answers "yes" or "no" chances of interacting with them, greatly decrease. Answer the following questions to check your understanding. Give Two Examples of Open Ended Questions Where the Customer Can't Respond "Yes" or "No"
2.1 While Interacting With the Customer, Employees Will be Able to Determine Customer's Needs and Wants by Asking Two Qualifying Questions to Correctly Determine Type of Product Desired. Determining the Customer's Needs and Wants. In the previous section we learned about asking open ended questions that will help us interact with the customer. The reason this interaction is so important begins to show itself in this section. Here we will begin learning about qualifying questions. A qualifying question is one that helps you, the employee, better determine what the customer needs and wants. 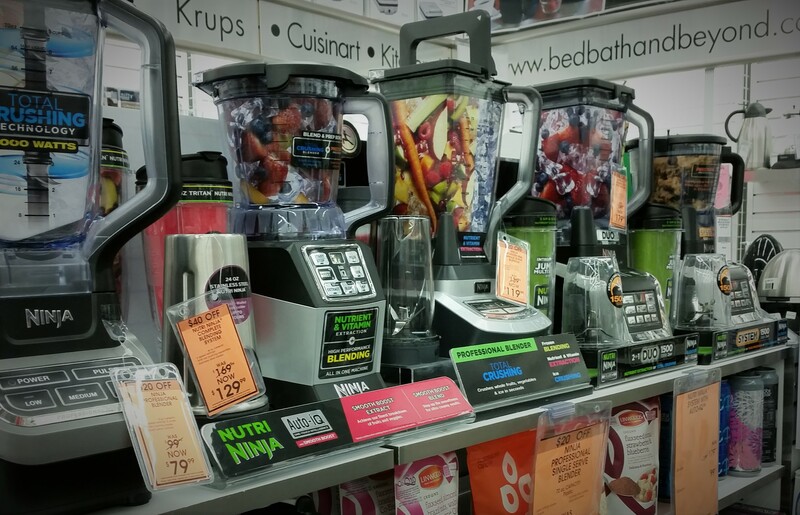 After you have learned what type of product the customer is looking for, in this case we'll say a blender, asking qualifying questions will help you and the customer decide which blender will best fit the customer. Here are a few examples of good qualifying questions. "How often do you plan on using the product?" "How would you like to use the product?" "Do you have a color preference?" " What size do you need?" Now you give it a try and answer the upcoming question. Mark qualifying questions true and other questions false. How are you planning to use this product? How often do you plan on using this product? What would you like the product to do? 2.2 After Listening to Customer's Responses to Qualifying Questions, Employee Will Verify Understanding of Customer's Needs and Wants by Correctly Repeating Info Back to Customer. Understanding what the customer needs and wants is critical to finding the right product. As employees, sometimes we make assumptions about what we think is best for the customer. A good way to make sure we understand the customer's needs and wants is to repeat back what you think they are looking for. "It sounds like you are looking for a blender that is great for making smoothies that you can use everyday, is that correct?" "So you would like a sheet set for a king size bed in purple, is that right?" Now it'your turn to make sure you understand the customer's wants and needs. Give an example of how you would repeat back the customer's needs and wants to verify you understand what they are looking for. In this case, you have determined they want a set of stainless steel pans that has glass lids and includes a 12 in. frying pan. At this point in the process, you have approached the customer, politely greeted them, asked them a question that can't be answered with a "yes" or "no", used qualifying questions to determine their needs and wants, and made sure you clearly understand by repeating their needs and wants back to them. You are doing a great job! At this point, take a deep breath and remember that soon all of this will become second nature. As we move on in the selling process there is one thing we have to remember above all else. What is our #2 priority? Not customer service, because customer service is our #1 priority! 3.1 After Escorting Customer to Appropriate Products, Employee will Explain What a Feature is and What a Benefit is. Now that we know what the customer is looking for we can show them the selection of items we have that fit their needs and wants. To further fine tune the selection process for the customer, we will introduce features and benefits. Features and benefits sound very nearly the same. The slight distinction between the two is what makes them such valuable selling tools. Features are tasks that an item we sell can complete. For example, features of a coffee maker are the built in coffee grinder, the programmable auto-start function, and the thermal carafe. -The task the built in coffee grinder completes is grinding coffee beans. -The task the programmable auto-start completes is starting the brewing process at any set time. -The task the thermal carafe completes is keeping the brewed coffee hot. Benefits are exactly that! Benefits! -The benefit of the built in coffee grinder is that freshly ground coffee means a richer more flavorful brew. 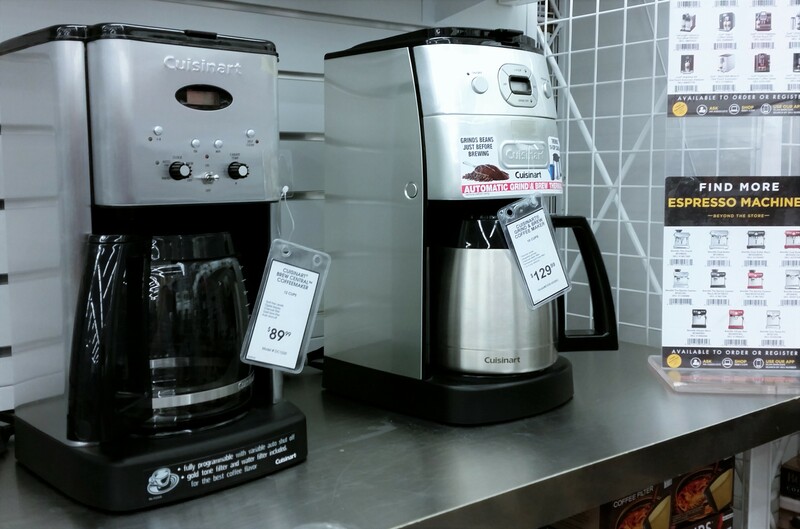 -The benefit of the programmable auto-start is that you can set the coffee maker to start brewing at any time. Most coffee drinkers love waking up to a freshly brewed pot of coffee in the morning. -The benefit of the thermal carafe is that it keeps the coffee hot for much longer than a traditional glass carafe, allowing the coffee drinkers to have hot coffee for several hours after brewing. Try these questions to make sure you understand what features and benefits are. Match the correct description to the term. A Task that a product can complete. The outcome of the feature that benefits the customer. 4.1 While Interacting with Customer, Employee will Correctly Provide Two Reasons a Higher End Product Will Benefit the Customer. One of the ways we provide great customer service is by helping the customer get the very best product for their needs. We want our customers to be completely satisfied with the products we sell them. As you spend more time in the store and get to know the products better, you will see that there is often a clear distinction between a good product and a great product. It may be a great product because it lasts longer, or has just the right mix of features and benefits. In many cases, these great products cost a little bit more. When we upsell, we suggest that a customer consider a great product instead of a good product. Even though it may cost a little more, the customer will get a better value and more enjoyment from the product because of what the product can do or how much longer it will last. 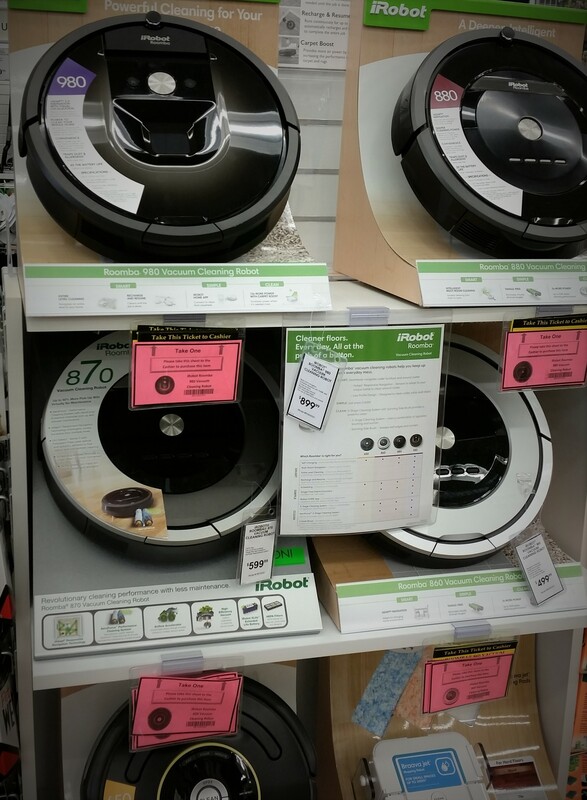 See if you can find a few reasons that will make a customer happy when we upsell. Choose two reason why a higher end product will benefit the customer. 4.2 While Interacting With the Customer, Employee Will Successfully Provide Two Reasons, Why an Add-on, Will Benefit the Customer. One type of add-on we offer helps maintain and prolong the life of the products we sell. For example, coffee makers needs filters to function correctly. Vacuums need special bags to keep dust from getting into the motor. We offer these during the selling process because it is good customer service. Letting the customer know what maintenance their product needs will help them maximize the product's performance and lifespan. Can you imagine getting home with a brand new coffee maker and not being able to use is because you forgot the filters? Another type of add-on we offer enhances the product we are selling and makes it even better. 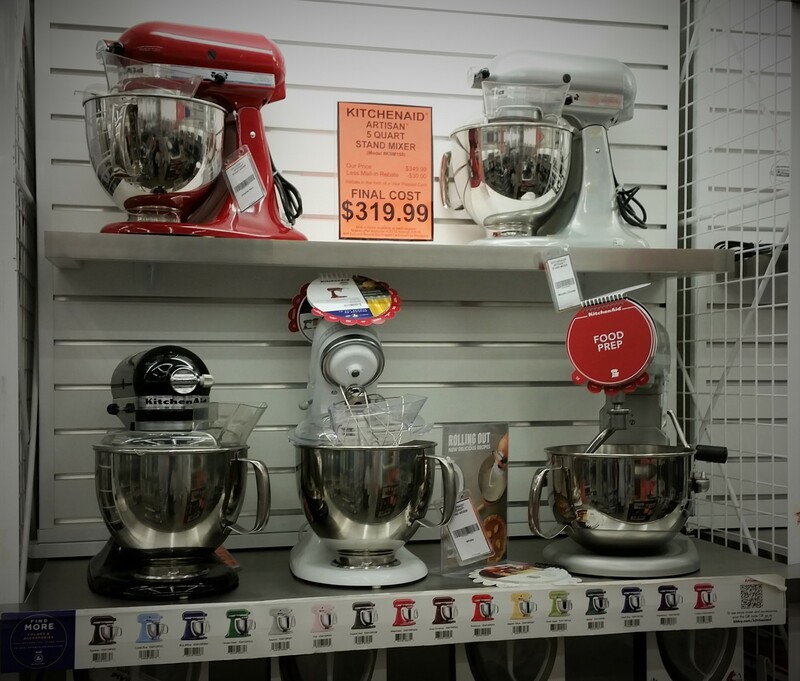 A great example of these types of add-ons, are the different attachments you can get for a KitchenAid stand mixer. There are attachments for slicing vegetables, grinding wheat, and even making pasta! Fill in the blank in these statements about add-on items. An add-on item can help a product so it lasts longer. Fill in the blank in this statement about add-on items. An add-on can a product to make it even better and more useful for the customer. 5.1 While Interacting With the Customer, Successfully Provide Two Reasons Product is Right for the Customer and Explain Our Satisfaction Guarantee. Now that we have helped the customer pick the very best product, and assisted them in finding some add-ons that enhance and maintain the product, it is time to start closing the sale. The best way to begin closing the sale is to show the customer that we have met their wants and needs with this product. Example: "It looks like we have found the right blender for you. It will be great for making the smoothies you like, and is the right color to match your appliances." "I can ring you up right now if you would like"
"Is there anything else I can help you find today? If not, I can ring you up right now"
The next part of closing the sale comes in especially handy if it appears the customer is hesitating has to do with our awesome customer satisfaction guarantee. Example: "If for any reason, you are not satisfied with the product, please being it back and we will try to find you something that better fits your needs and wants." When the customer finds out they won't be stuck with a product that they don't like, it makes the buying decision much easier. Can you close the sale? Provide two reasons this product is right for the customer. Which statement best describes our satisfaction guarantee? Once you take it out of the box, the product cannot be returned. You can bring it back but only because of a manufacturer's defect. If for any reason, you are not satisfied with the product, please being it back and we will try to find you something that better fits your needs and wants. 5.2 While Interacting With the Customer, Provide Two Statements to Positively Reinforce the Customer's Buying Decision, Then Provide Two "Thank You" Statements to Thank the Customer for Their Patronage, to Successfully Close the Sale. At this point in the process, the customer has decided to buy and you are escorting them to the register. The job is almost complete! To make sure the customer knows how much we have enjoyed working with them, there are still two steps left to take. The first step is letting the customer know that they have made a great decision and have picked the best product. This helps the customer see how talking about wants and needs, features and benefits, and add-ons has really helped them navigate the buying process. "You made a great decision on that product. You are going to love it!" "That item is a great value because it is going to last you forever"
"Good call in that product. It has incredible bang for the buck." The second and last step is one of the most important. It is time to thank the customer and let them know how much we appreciate their business. Remember that the last impression, the customer will have of their buying experience, happens at this crucial point, that's why it is so important to get it right. Customers have more places to shop now than at any other time in history. We want them to know we are grateful they chose us. "Thanks do much for coming in today, I hope to see you again soon." "We know there are lots of places to shop, thanks for choosing us." Thanking the customer isn't just polite, it is another way to set ourselves apart from the rest of the crowd when it comes to our #1 priority.....Customer Service! Now, let's see how well you can thank the customer. You made a great decision, you are really going to enjoy this product. This product is okay, I guess. The product you chose is a great value, lots of bang for the buck. 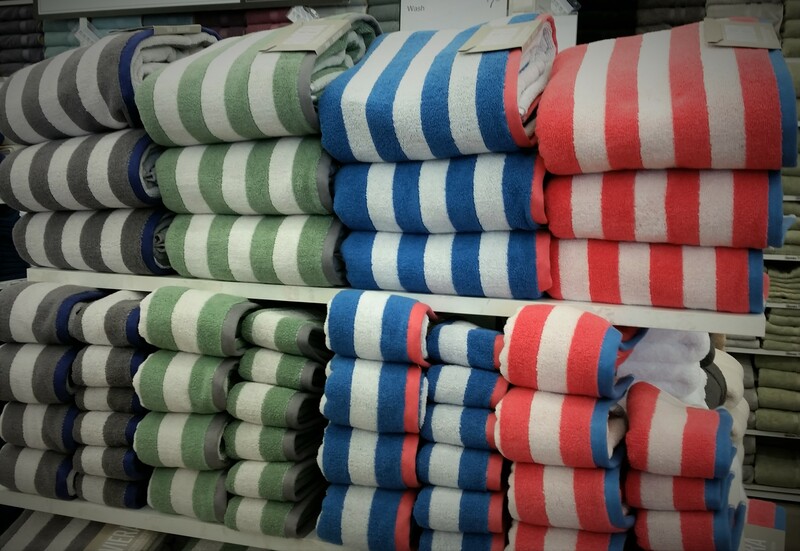 You will probably end up returning this product. Choose the two best statements for thanking a customer. I know there are lots of places to shop, thank you so much for choosing us. Hope to see you soon! Thanks for coming in to the store today! Let's see how well you remember! Which of these are benefits? Select all of the qualifying questions. What would you like the blender to be able to do? How often do you plan on using your blender? 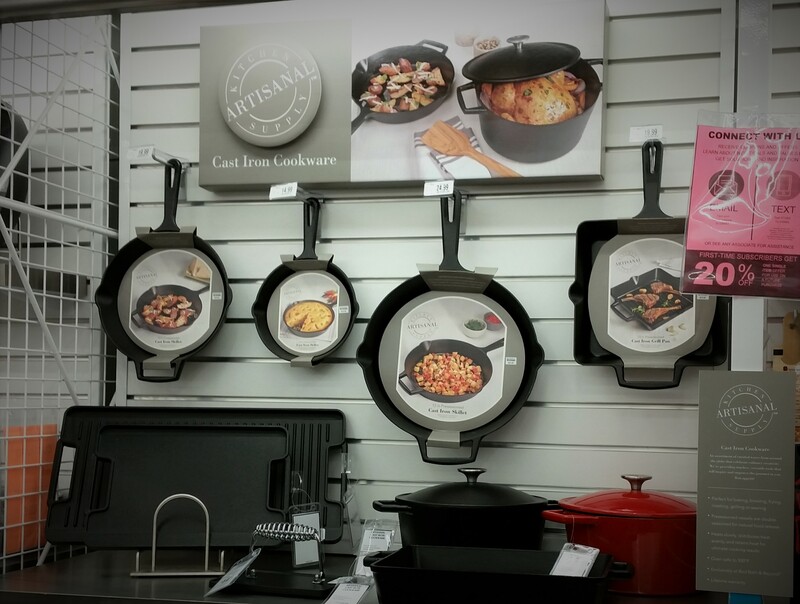 Do you have a preference between non-stick and stainless steel cookware? If the customer has described a king size memory foam pillow, what question would you ask to make sure you understand correctly? Wait, what kind of pillow do you want? 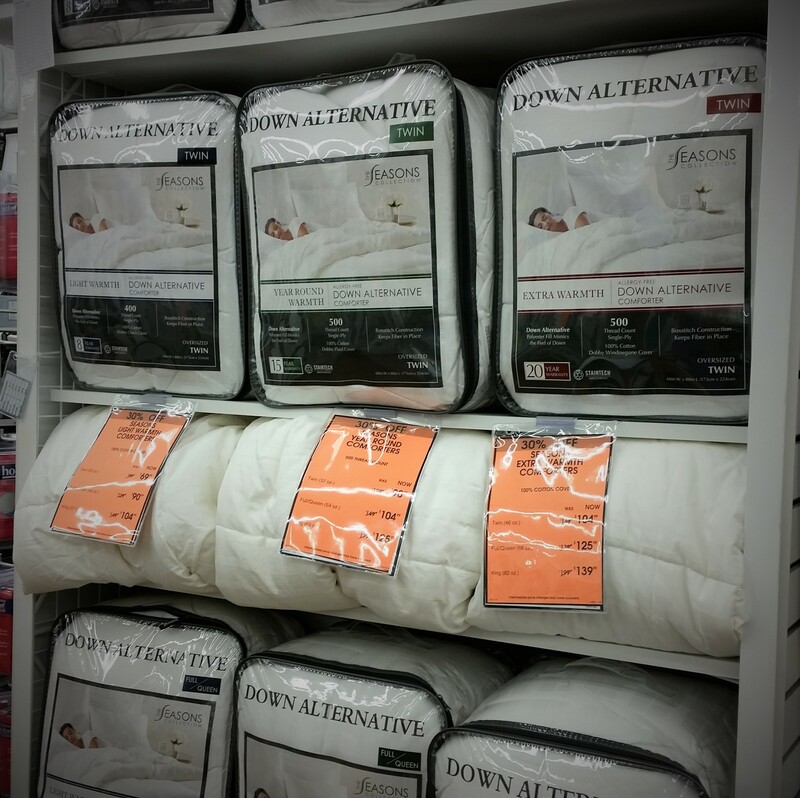 So, you are looking for a memory foam pillow in king size? Which of these are features? Which of these is the best way to open the sale? Hello. What can I help you find today? Are you finding everything oaky? How would you let the customer know they made a good buying decision? 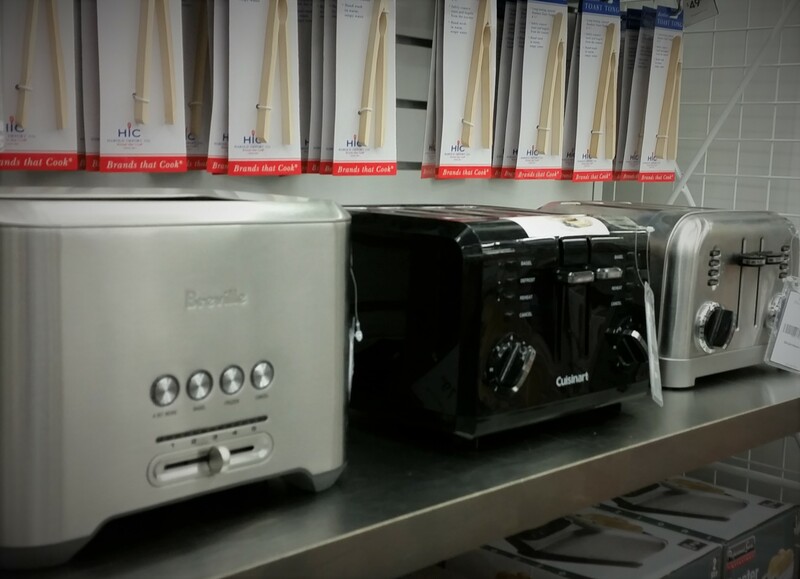 You are going to love this toaster, it is the best one we sell. Why would we try to upsell a product to a customer? Why would we offer add-on items to a customer? Which is a good way to start closing the sale? It looks like we have found the item with all the features and benefits you needed. Would you like me to ring you up now? We can only take returns on items that have a manufacturer's defect. Thanks for coming in. I enjoyed helping you, I hope to see you soon. One more time... What is our #1 priority?